The holidays are upon us, and that means you’ll most likely be giving gifts to those you care about. And what says I care about you more than giving the gift of great skin? At Skin by Lovely, we would argue nothing. Absolutely nothing says you care more about someone than giving them gorgeous, glowy, ‘how do you look that young? !’ skin. Except for maybe an all expenses paid trip to Cabo, but if you can’t quite swing that for your loved ones- we’ve put together this list of Lovely’s top 5 holiday gifting favorites! Whether you’re shopping for mom, dad, or daughter (or all of the above)- we have the perfect gift idea for everyone on your list. Shop Online for these and other great gifts for healthy, beautiful, more youthful-looking skin. 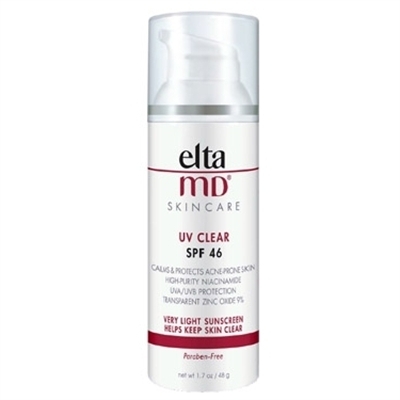 Good for just about anyone and everyone this holiday season, Elta MD UV Clear SPF 46 is a stocking stuffer must-have. It’s perfect for those who are sensitive or acne-prone as it calms the skin while protecting it from damaging UV rays. It’s oil-free formula is especially ideal for daily application, even under makeup. While you’re at it- you should buy some for yourself too! Your future wrinkle-free, sunspot-free self will thank you. Just like taking a stroll through Portland’s International Rose Test Garden without even having to leave your house! The Body Deli’s Crème de la Rose is a jar of pure luxury. Formulated to help accelerate cellular turnover, feed epidermal cells, restore elasticity, and diminish the depth and intensity of wrinkles, this facial cream is like none you’ve ever tried before. Made from all organic ingredients like Bulgarian Rose, Goji Berry extract and Macadamia Nut Oil, this anti-aging powerhouse will not disappoint even the most finicky on your list. Does your spouse or partner continually ask you for chapstick? You’re not alone. The elusive lip balm has been hiding from significant others everywhere for ages, and we have a theory that it’s because most of them are just plain forgettable. 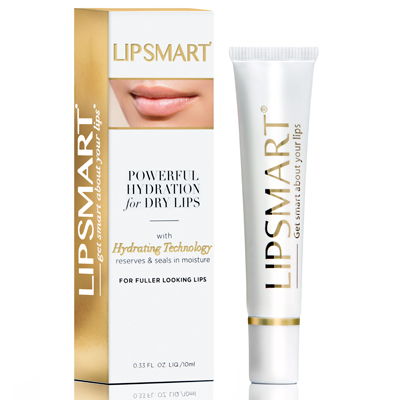 LipSmart is here to challenge this theory with its innovative formula that contains a bio-active fusion of naturally occurring amino acids proven to revive the lips while maximizing hydration– making it the product you’ll never want to leave home without again. And it applies clear, making it perfect for everyone on your gift list. That’s why we can’t live without Refinement’s Deep Hydration Body. Incredibly hydrating with a scent that is divine, this anti-aging body lotion is full of plant stem cells and anti-inflammatory antioxidants that is perfect for the colder winter months. Mom complaining about dark spots? Let us introduce you (and her) to Lytera 2.0! This hydroquinone-free pigment correcting serum is a clinical-grade skincare product designed to diminish stubborn dark spots. Winter is also the perfect time to start using this product to really combat pesky pigmentation! Great for all skin-types, paraben and fragrance free- give mom (or dad or grandma) the gift of even skin tone this year. To complete the perfect pair with this sun-spot destroying product, see Gift #1. Sun-protection is a must, regardless of season! Shop online for these and other great holiday gifts for healthy, youthful skin. Still not sure of the perfect gift to give? Contact our offices and one of our expert Aesthetic Consultants will handle all of your skincare questions and concerns. They’ll even put a customized skincare regimen together for anyone on your gift list- free of charge. Happy gift-giving and we hope you have a lovely new year!